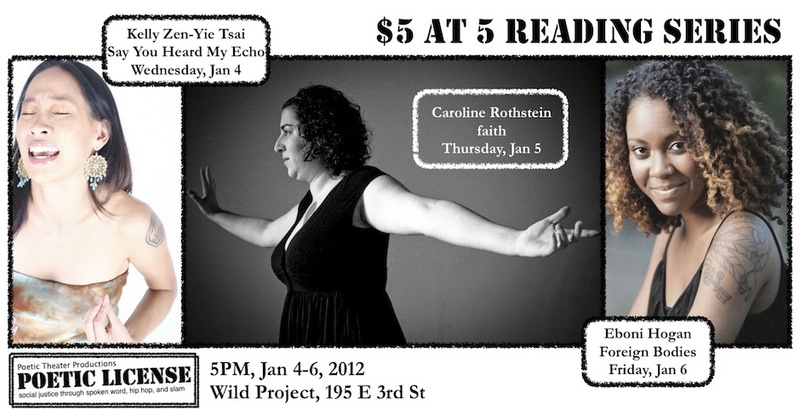 StageBuzz.com: Interview with Caroline Rothstein of "faith"
Caroline Rothstein is a New York City-based performance poet and nonfiction writer. A regular performer at the Nuyorican Poet’s Café and a member of their 2010 slam team ranked second in the nation, she has competed, performed, and led workshops at poetry venues, theatres, colleges, and schools around the United States for a decade. A longtime activist in eating disorder recovery, she hosts the video-blog “Body Empowerment,” sharing her own recovery story to promote positive body image worldwide. She has a B.A. in classical studies from the University of Pennsylvania, and an M.S. from Columbia University’s Graduate School of Journalism. Tell me a little bit about "faith." "faith" is my newest work of writing and performance - a one-woman play about my experience with and recovering from an eating disorder. The majority of my performance work over the last decade has been as a spoken word poet, so I am excited to return to my theatre roots - the medium in which I grew up working - with this newest piece. I've pulled from old poetry, journal entries, and more to create an autobiographical narrative account of how I developed an eating disorder at age 11 in 1994, began full recovery at age 21 in 2004, and have remained in full recovery since. I have always been deeply honest and outspoken about my story as a means to promote awareness, prevention, and recovery with regards to eating disorders through advocacy, activism, and the arts. "faith" is the largest and most comprehensive artistic work I have created to date that acts a vehicle for awareness and change. Given the rise in numbers of people struggling with eating disorders, chances are someone in the audience will be silently suffering from one. What would you say to that person? This is an excellent question. 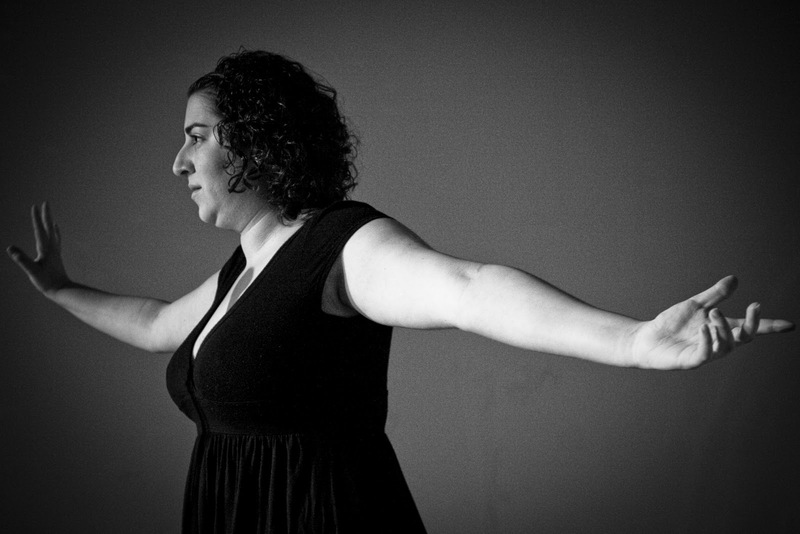 As a spoken word poet, I am regularly approached after poetry shows in which I've performed pieces about my experience with having an eating disorder, so I am well-versed in responding to the vocal sufferer who approaches me and shares their story. As for the silent sufferer who may not be ready to share their story and experience even with themselves I say: feel free to give yourself permission to love your self. An eating disorder is a mental illness which you can overcome by allowing yourself patience to understand the intricacies of the causes and symptoms intertwined with the eating disorder, perspective to know you are not alone and are capable of recovery, and the knowledge that you can persevere beyond this struggle. Is it difficult putting so much of your personal life onstage? I have been sharing my personal life through public speaking, writing, and performance for so many years that the challenge is less in the actual act of sharing my personal experiences onstage or in the public sphere, and more in sharing new work. I am always nervous about sharing new work, or sharing work with an audience that may not typically hear the content I am about to present. So newness seems to always trump sharing vulnerable life details! What made you decide on this medium - one-person show with performance art, poetry and monologue - to tell your story? I am also a nonfiction writer and journalist, so one of my life dreams it to write long form nonfiction books. Last year, I wrote a nonfiction book proposal that was half-memoir, half-jouranlism about eating disorder recovery. After sharing it with a literary agent, I realized my performance career was well ahead of my writing career. I separated the memoir portions of the proposal and used them as inspiration for a play. Performance art, poetry, and monologue are the media in which I am most experienced as a writer and performer, so they were the most appropriate vehicles through which to tell the story that became "faith." I am performing "faith" as a full production on April 3 and 4 as part of the Culture Project's Women Center Stage Festival. I'm both honored and excited to be a part of WCS, an incredible festival that runs from March to April in New York City. In the meantime, I hit the road mid-January and continue touring with my spoken word poetry tour "My Body, My Self," promoting body empowerment and self-confidence at colleges, poetry venues, community centers, and schools throughout the United States.